Automated detection of ictal discharges in adults. 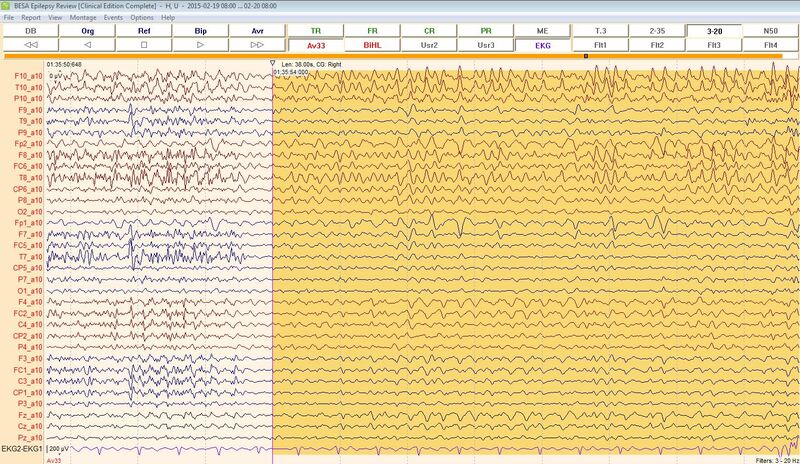 Detection takes at the most 5min on a 24h EEG. At least one channel of each group must be available.